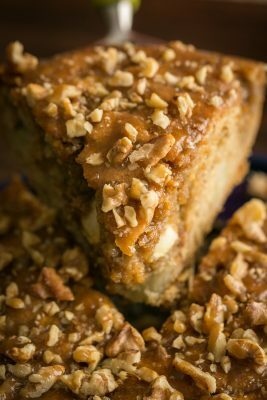 This apple dapple cake is crumbly, crunchy, loaded with sweet/tart bites of apple and an insane caramel sauce that sinks deep into the cake, creating a moist and buttery center. Do I have your attention yet? I sure hope so! The next thing you should know: this cake is easy! It comes together quickly and your oven does the rest. 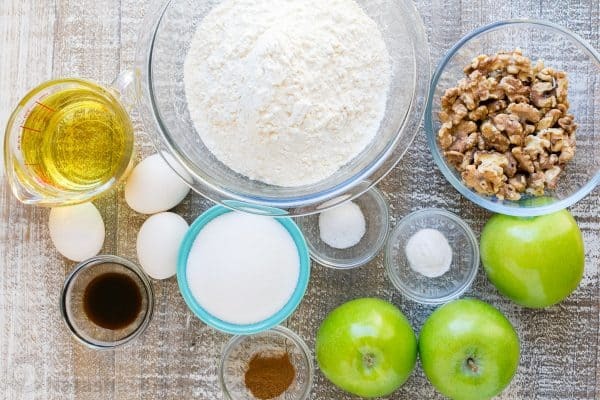 it really is as simple as combing the wet ingredients, combining the dry ingredients, mixing them together, add nuts, add apples, fold and voila! You have a cake! 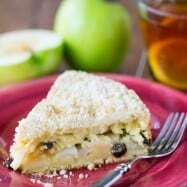 This is perfect for company and makes a wonderful apple coffee cake. It tastes like a wildly delicious breakfast muffin, but made ultra decadent with the caramel sauce. Mmm yum! 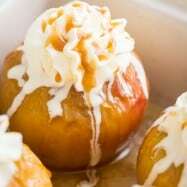 This recipe is based on the apple dapple recipe shared by one of my readers, Emma. I looked over the simple ingredients and knew I had to try it when she said “It is a hit among my family and friends.” Emma, it was the same for me! 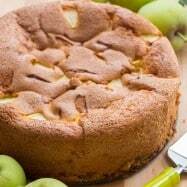 Thank you so much for sharing your version of this Southern classic Apple Dapple Cake! 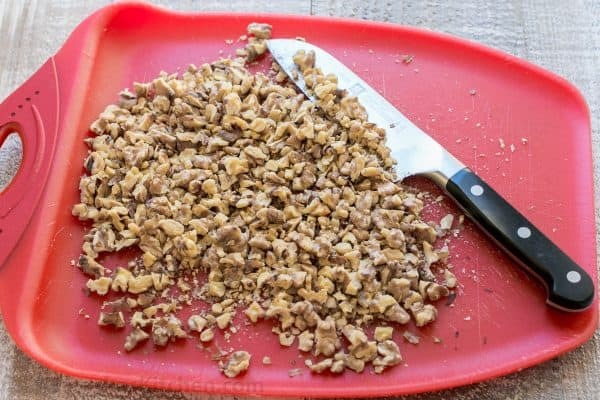 *Toast and chop walnuts (you want them to cool to room temp before adding to the batter). 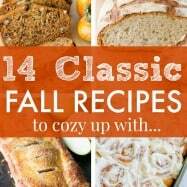 *Preheat Oven to 350˚F and grease base and sides of a 9″ springform pan with oil or butter. 1. 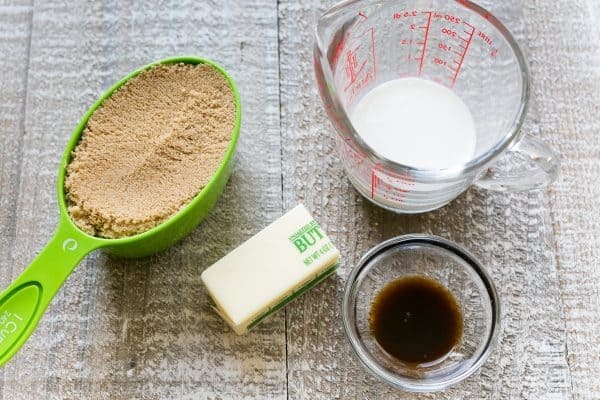 In the bowl of a mixer fitted with paddle attachment, mix together: 3 eggs, 1 cup oil, 1 cup granulated sugar and 2 tsp vanilla extract on medium speed 1 minute until blended. 2. 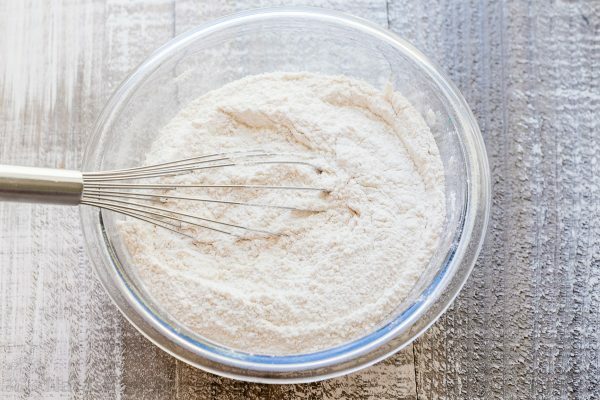 In a separate bowl, whisk together 3 cups flour, 1 tsp cinnamon, 1 tsp baking soda and 1/2 tsp salt. 3. With the mixer on, stir the dry ingredients into the wet ingredients until well incorporated. 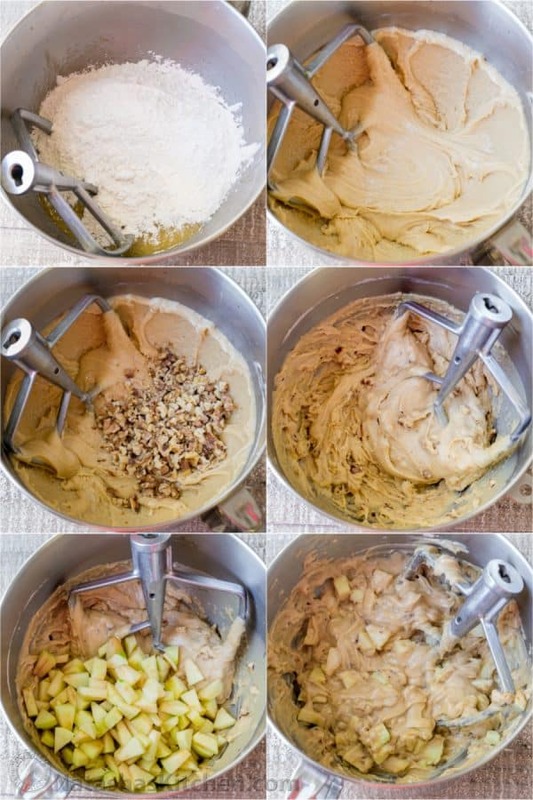 Mix in 1 cup chopped nuts then mix in 3 cups sliced apples (if needed, use a stiff spatula to blend them in well). 4. Transfer to greased springform pan and bake in the center of the oven at 350˚F for 50-55 minutes, or until a toothpick comes out clean. Start making the sauce 10 minutes before the cake is out of the oven (see instructions below). 5. Once the cake is done, poke it all over with a meat fork or large skewer. While still hot and in the baking pan, pour glaze evenly over the surface of the cake. Sprinkle remaining 1/3 cup chopped nuts over the top and give the cake a few minutes to absorb the syrup. Transfer cake to a cake platter (I love these ones from Fiesta) and serve. 1. In a medium saucepan over medium heat, whisk together 1 cup brown sugar, 6 Tbsp butter, 1/4 cup milk, 1/2 tsp vanilla and a pinch of salt. Bring to a low boil and continue to cook stirring gently for 4 minutes. It should be loose and will lightly coat a spoon, since you want most of it to absorb into the cake. 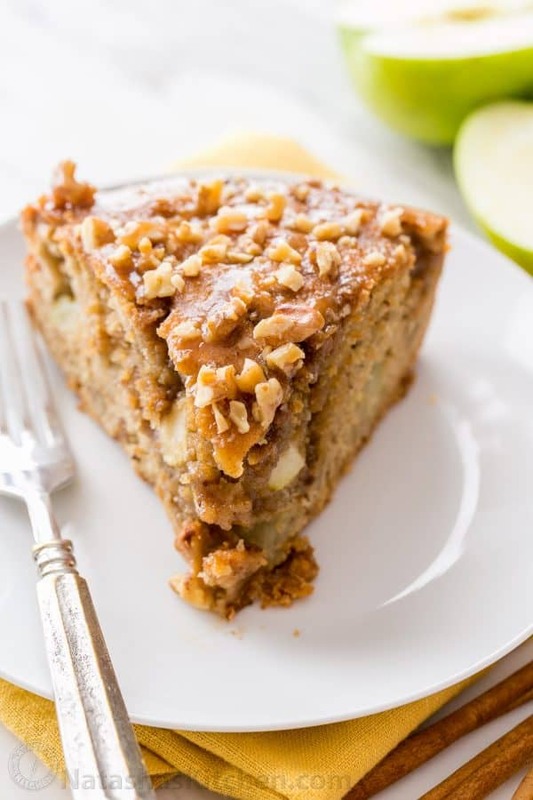 Apple coffee cake (classic apple dapple cake) is loaded with apple and walnuts. The caramel sauce creates a moist, buttery center. 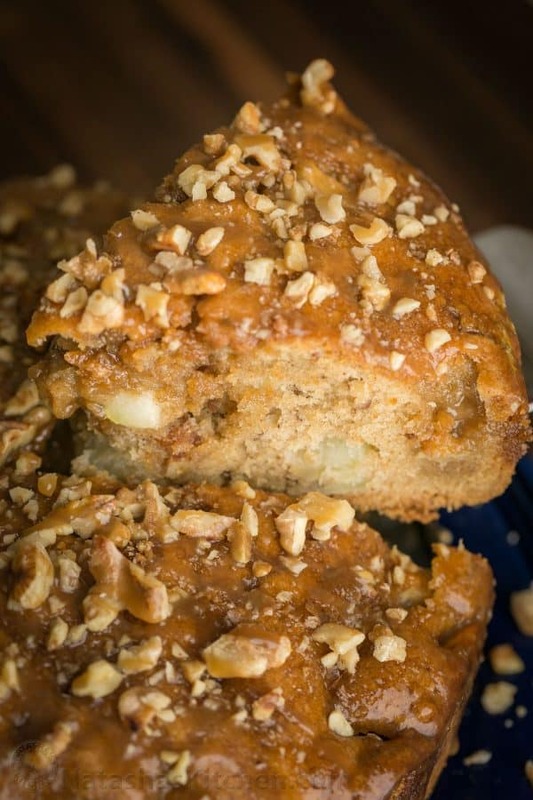 Easy apple coffee cake! Toast and chop walnuts (you want them to cool to room temp before adding to the batter). Preheat Oven to 350˚F and grease base and sides of a 9" springform pan with oil or butter. 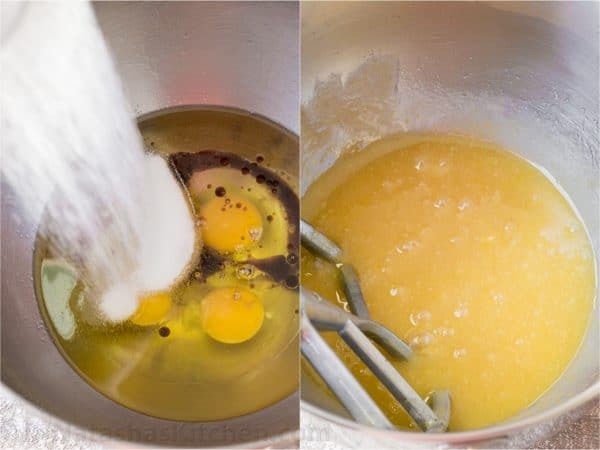 In the bowl of a mixer fitted with paddle attachment, mix together: 3 eggs, 1 cup oil, 1 cup sugar and 2 tsp vanilla on medium speed 1 min until blended. In a separate bowl, whisk together 3 cups flour, 1 tsp cinnamon, 1 tsp baking soda and 1/2 tsp salt. With mixer on, stir the dry ingredients into the wet ingredients until well incorporated. Mix in 1 cup chopped nuts then mix in 3 cups sliced apples (if needed, use a stiff spatula to blend them in well). Transfer to greased springform pan and bake in center of oven at 350˚F for 50-55 min, or until a toothpick comes out clean. 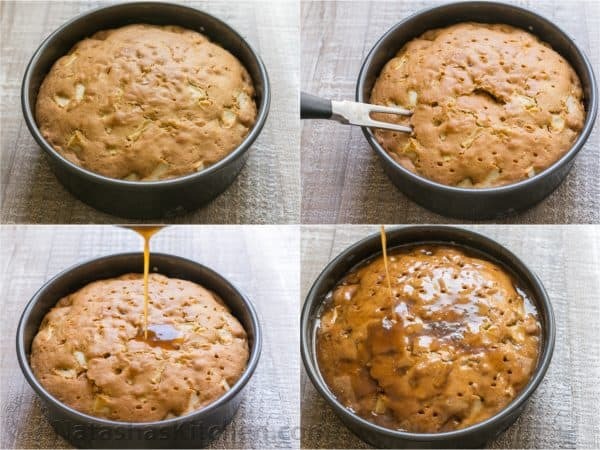 Start making the sauce 10 min before the cake is out of the oven (see below). Once the cake is done, poke it all over with a meat fork or large skewer. While still hot and in the baking pan, pour glaze evenly over cake. Sprinkle remaining 1/3 cup nuts over the top and give the cake a few minutes to absorb the syrup. Transfer cake to a platter and serve. 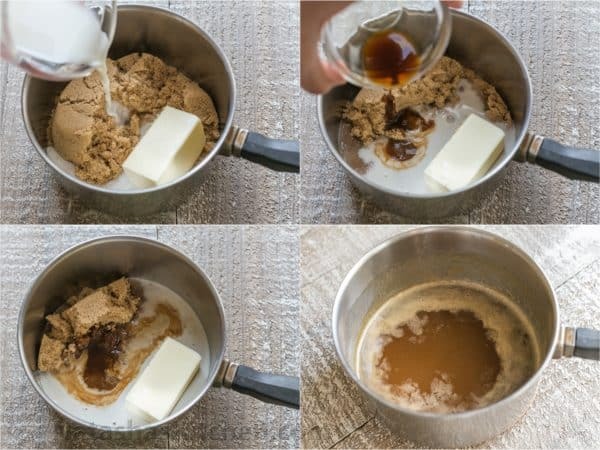 In a medium saucepan over medium heat, whisk together 1 cup brown sugar, 6 Tbsp butter, 1/4 cup milk, 1/2 tsp vanilla and a pinch of salt. Bring to a low boil and continue to cook stirring gently for 4 minutes. It should be loose and will lightly coat a spoon, since you want most of it to absorb into the cake. *To measure flour correctly, spoon flour into dry ingredients measuring cup and level off the top. If you push your measuring cup into your flour bin to fill it, you will get substantially more flour. This cake was not easy to photograph – it’s not very photogenic so I had to make it two days in a row because I loathed the first set of pictures. 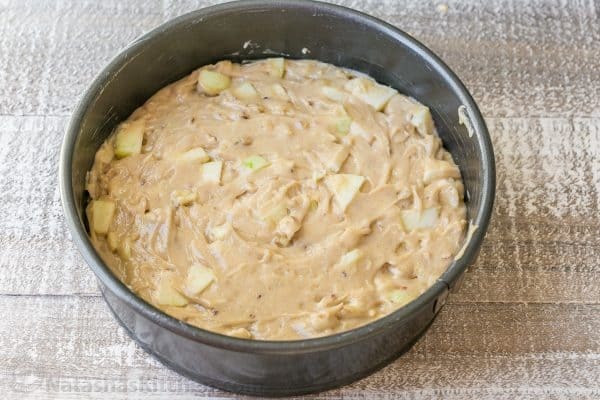 I hope these photos do it justice because it really is a very delicious apple coffee cake (A.K.T.S.A – a made up acronym meaning “also known to Southerners as”) Apple Dapple Cake! 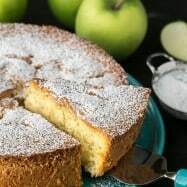 ?Explore More Apple Recipes Here ? Hi Natasha, I am wondering if I could make the cake the night before and then warm it up in the morning and pour the caramel on top of it? Do you think it will still be good? I want to make this cake but I’m wondering if I can somehow add Rum to it and if so, where can I incorporate it? Seems like a great recipe. But i couldnt find the coffee in the ingredients. 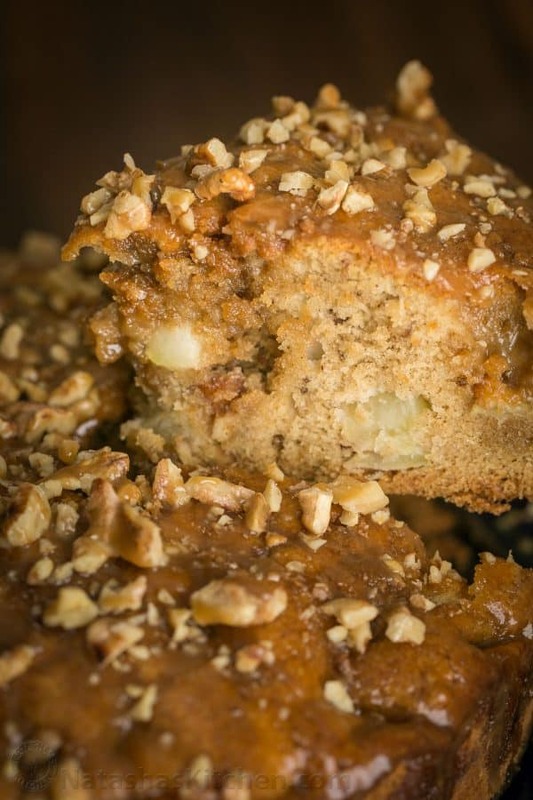 So why is it called a coffee cake? Thanks for your wonderful recipe, I’ve made a number of your cakes and they are all delicious! 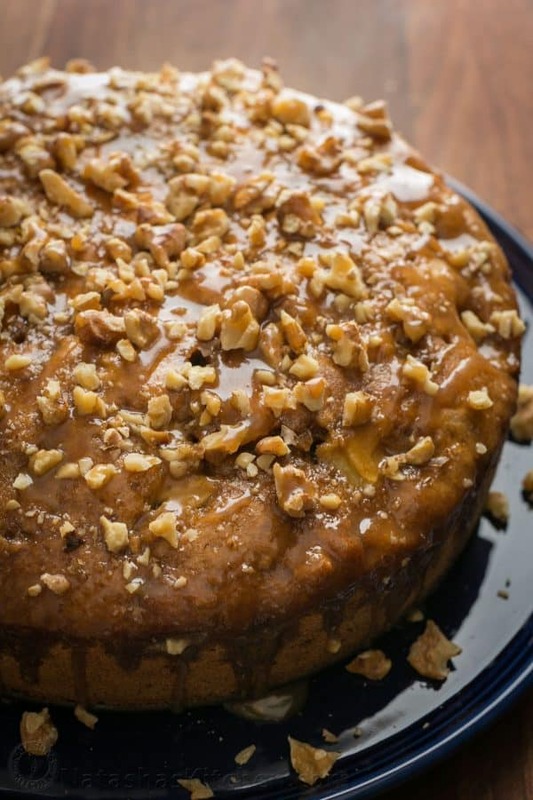 I have a question: what can I use instead of walnuts/nuts in this cake? Want to give it to my baby to try, but he hasn’t had nuts yet. I tried making this cake, but in a traditional bundt form (don’t have a spring form pan). It came out pretty dry and super crumbly inside.. (I did add the sauce on top).. what did I do wrong? Thanks! Live your recipes btw!! This lovely cake pics look so yummy n good. Will be baking soon! BTW, will you be sharing how to bake a moist liquor fruitcake as I hope to bake for coming Christmas! Your apricot cranberry moist cake is really Superb ! I added some golden raisins as I do not have enough apricots! Everyone loved it in my family even my friends. Just wondering if I can add some rum to make it into a liquor fruitcake for Christmas. Oh ok…I thought it’s the same amount. I will have to give it a try and let you know thanks a bunch Natasha! Natasha, I was wondering why it is called coffee cake when there is no coffee ingredients..🤔?